The plan year is October 1, 2018 through September 30, 2019. Made an error during open enrollment on benefit selections? Download the below forms to fill out and turn into Stefanie Edenburn, Benefits Coordinator in Human Resources. Need an overview on Benefits? View the 2018/19 employee benefits PowerPoint. Do you have FSA dollars to Spend? Check out this website. What are the key benefit terms I should know? What is the Premium Pool and how does it work? How does the Premium Pool Calculate? What are the Highlights sent by OEBB during open enrollment? Go to https://myrbh.com/, click on “I’m a Member.” and use “OEBB” as the access code. Planning on retiring this school year? Things to consider for the last open enrollment prior to your retirement. Needing to make a change to your benefits? 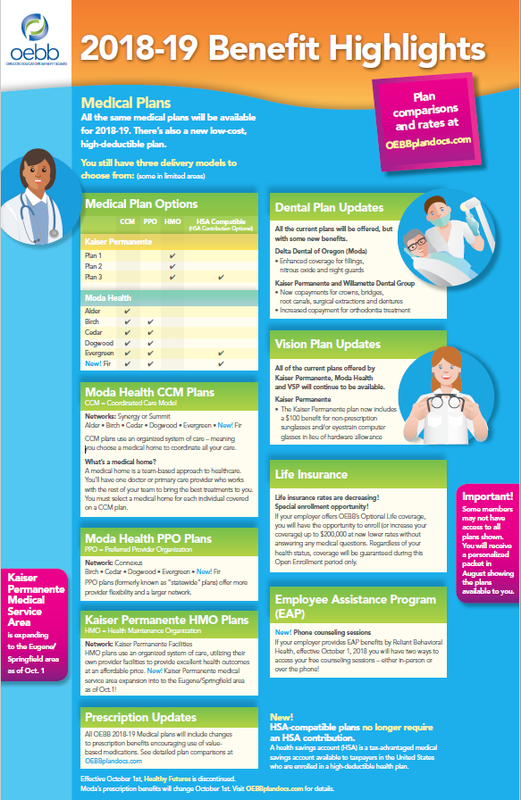 Health Insurance: To make changes to your medical, dental and vision insurance due to a mid-year status change Download, fill out the form and turn into HR. FSA: To enroll in or make mid-year changes to a Flexible Spending Account, contact American Fidelity at 503-718-7040 or toll free at 1-877-293-1090. To review more information about FSA, Download the brochure. HSA: To make mid-year changes to a Health Savings Account Download, fill out the form and turn into HR. To enroll in a Health Savings Account Download, fill out the form and turn into HR. To review more information about HSA, Download the brochure. What am I currently enrolled in? If you do not know your login or password, then you will need to select the “I forgot” button on the page. To receive a new login or password, you will need to be able to provide your birthdate and social security number. If you missed your deadline for enrollment as a new employee or were placed in default plan selections after the open enrollment deadline, visit this website for more information. For FSA or HSA account information, contact American Fidelity at 503-718-7040 or toll free at 1-877-293-1090. 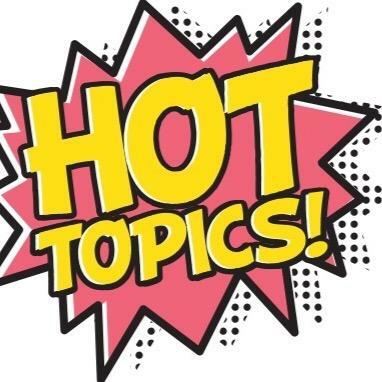 Interested in Weight Watchers, but your pocketbook is not? If you have medical insurance through OEBB, you are eligible to participate at no cost in the best way that works for you! 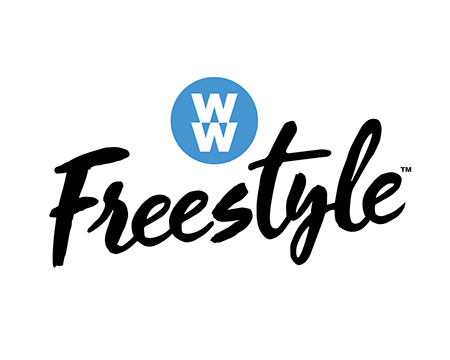 CLICK HERE to learn about the new look and feel of Weight Watchers and the new Freestyle program.